A little bit of news from MotoringFile.com. Well, more like Todd and I talking about MINI models and the Paceman. The Dragon (have fun gang! ), AMVIV and what you see in that photo above; Be Miles Ahead. 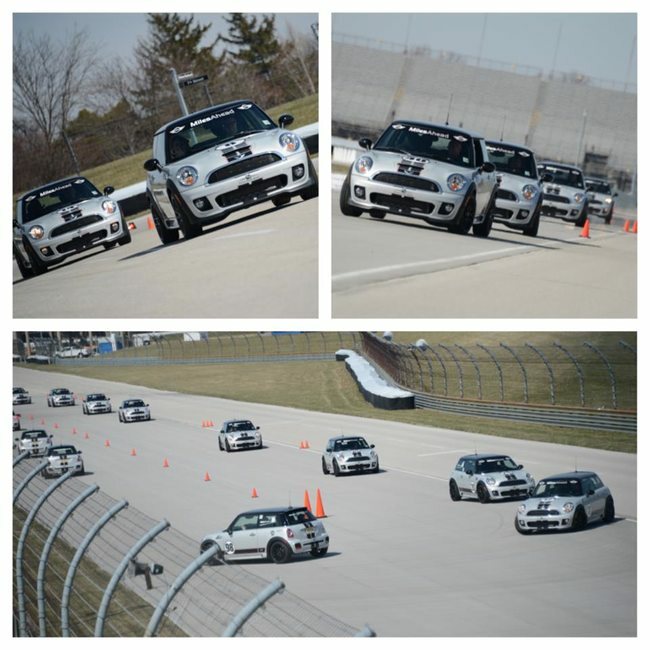 Worth checking out if you want to drive a JCW MINI on the track. We also tackled a couple of Ask Chad questions that we could handle. Chad should be back week after next as soon as he is back from The Dragon and properly recovered. Keep sending those questions in to us at [email protected]. We were talking about a receiver hitch to accept a bike rack, and our friends over at MINIdoMore could totally hook you up. Block Countryman letters on the boot? Check. May discount code? Check (it out!). Teaser for a new sponsor for May? Check! Finally, if you are headed to AMVIV and would like some really nice photos of your MINI, I’m going to be doing exactly that! You can get more information over at White Roof Photo. I am listening to the 464 woofcast…..is there a REAL BIG difference driving a JCW compared to a CooperS, I am moving up to a JCW 6 speed from a CooperS auto. Besides the 32hp difference? I dont’ have enough experience to be a master on the subject, but to me it feels like it’s much more than the 32 HP difference. After you drive one, you’ll see. The JCW is, um, very eager. At least I think it is. What Db said. Once you drive a JCW for awhile, driving a Cooper S is a pretty noticeable difference. Add a JCW suspension and it’s a completely different animal in power and handling.